Home Backpage Every Inch of the Territory Must Be Governed. Every Inch of the Territory Must Be Governed. Horrifying news issued again on Sunday from Benue, the troubled state in the middle belt. Armed herdsmen struck, killing 19 persons in In Tse Adough in Kwande Local Government Area of the State. Among those killed were six children. A pregnant woman was among those kidnapped while scores of others were injured. In one day, a total of 31 persons were reportedly killed in Benue. The killings in Benue were among several others reported in different parts of the country in the few days of this month alone. In Zamfara only three local governments are said to be spared of the reign of terror mounted on the state by bandits. Similarly, Birnin Gwari and some other parts of Kaduna state have been virtually turned into killing fields. Despite the claims of decimation of Boko Haram by the military authorities sporadic attacks by the insurgents are still reported in the northeast. Similar killings have been reported in other states in all the zones. Nigeria is not officially at war. Indeed, the government has not yielded to strident calls for the declaration of a state of emergency in some parts of the country. Yet, there is hardly any day that killings are not reported in one part of Nigeria or the other. Bloodletting hits the headlines almost all the time. Kidnappers, armed robbers, invaders, marauders and other criminals operate on the highways and in the rural areas. To be sure, the parts of the federation where these endless killings take place cannot be said to be governed in the true sense of the word. This is a categorical challenge to the Nigerian state. As the Commander-in-Chief met with defence and security chiefs yesterday, the spectre of an ungoverned territory doubtless hovered over parts of Nigeria. The public imagination is possibly that the President would tell the security chiefs that this state of affairs is simply unacceptable. You would expect that marching orders were issued. If what the President told the security chiefs was not reported, at least the perspective of the defence minister, Brigadier-General Mansur Muhammed Dan Ali, has been made public. â€œHe mentioned the Abuja-Kaduna expressway as a source of concern as there were still recorded incidences of kidnappings within the period under review. â€œHe also stated that the upsurge in incidents of security concern in Zamfara state is quite disturbing and calls for more robust approach to tackling the threat. â€œThe situation is characterized with killings and kidnappings by armed bandits and criminal elements predominantly in Anka, Maru, Kaura Namoda and Talata Mafara LGAs of the state. Politicians in their different formations are busy with the calculuses of the 2019 elections. They worry about the integrity of elections as they push for the expansion of the democratic space. All these objectives and other political imperatives cannot be accomplished in an environment of insecurity. To ensure the socio-political order is a greater imperative. The security of the country should not be made a matter of partisan tirades because of the primacy of the issues involved. It is dangerous for the collective well being to play politics with the security of the country. In the battle against the killers, the Commander-in-Chief must be seen to be truly in command while he should be supported by all regardless of political and other differences. You cannot honestly talk of credible elections in an ungoverned territory. Farmers chased way from their lands cannot be expected to cast votes freely and fairly in their wards during elections. Elections should ordinarily be festivals of democracy. But that is only possible in a secure atmosphere for the candidates and the electorate. Again, the matter is squarely that of governance. Not only must every inch of the territory of the Federal Republic of Nigeria be governed, it must also be seen to be so by the people. The security question becomes more urgent by the day. So also is the socio-economic question of development. Mass poverty and joblessness (among other factors) provide the breeding grounds for the bandits. It is not for nothing that the constitution of Nigeria defines governance as the â€œsecurity and the welfareâ€ of the people. The impression must not be given unwittingly that the Nigerian state cannot tackle the bandits and other criminals killing and making the land unsafe. The criminals on the prowl should be massively disarmed. Disarmament should be part of the strategy in the face of dangerous flow of arms. The justice sector should wake up to its responsibilities and ensure that the killers arrested are duly prosecuted. The nation should be better policed. Intelligence agencies ought to be a step ahead of the killers invading villages. No part of the territory of Nigeria should be surrendered to killers under any circumstance. At 86 Hon. Justice Mustapha, Akanbi, CFR, PCA (Rtd) Wakili of Ilorin, former President Court of Appeal and pioneer Chairman of Independent Corrupt Practices Commission (ICPC), died in Ilorin on Sunday. May Almighty Allah shower him with the abundant blessings of the Month of Ramadan! Akanbi brought to bear dignity, courage and honour both at the bar and the bench spanning decades. His globally acknowledged courage, patriotism, pan-Africanism and above all compassion for human advancement are worthy of celebration. The clichÃ© is â€œnot how long, but how well.â€ Remarkably, itâ€™s been well, worthwhile and long for Justice Akanbi with an impactful life for which as a devout Muslim he was ever grateful. Nigeria and indeed Africa truly lost a selfless, hard and smart -working, incorruptible and generous statesman! 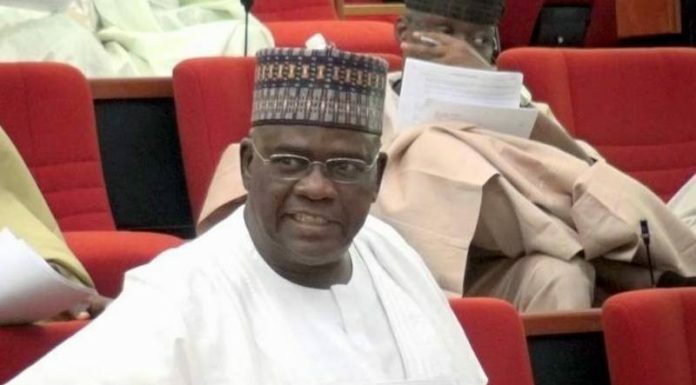 As the founding Chairman of the ICPC, in keeping with the mandate of the Commission to apprehend public graft in 2003, ICPC intensified its searchlight on the activities of senators among other public officers. Some senators under the leadership of Senator Pius Anyim moved to weaken the ICPC through a belated review of its enabling Act in a way that would insulate senators from accountability and prosecution. As part of the NLC delegation led by Comrade Adams Oshiomhole (then NLC President) at the public hearing on the proposed amendment of ICPC Act, I bear witness to the remarkable way the retired Justice Akanbi eye ball to eye-ball resisted legislative intimidation and made a case for anti-corruption at the chambers of the Senate. He stood his ground. He maintained that any attempt to tamper with the ICPC Act means truncating the anti-corruption crusade. He was even determined to resign his chairmanship of the Commission rather than allowing the Commission to be compromised by the legislators. The public sympathy was in favour of Akanbi-led Commission, largely on the account of the integrity of the Chairman. Within a short spell, with uncommon maturity, balance, objectivity and determined systemic approach rare among public appointees, he mainstreamed ICPC from nowhere as an institutional bulwark against public graft. Notwithstanding the limitations of resources and political hostility, ICPC under him investigated and arrested some judges of the High Court, customary court and Sharia court for collecting bribes. The judges were eventually dismissed by the NJC. To the credit of his legendary modesty Akanbi bowed out of the Commission in 2005, even when he had the right of tenure extension. Here Akanbi shared the great value of resignation with great leaders like Nelson Mandela of South Africa and Julius Nyerere of Tanzania. Akanbi like Mandela actually stepped down when many actually admired them. On retirement, he set up the Mustapha Akanbi Foundation (MAF). Inaugurated in Ilorin, Kwara State on 12th of September 2006, MAF is adding value to national discourse. Out of simple and enduring noble objective to serve as â€œâ€¦a veritable platform for promoting democratic values and fostering sustainable and viable democratic development in Nigeriaâ€, MAF has left bold imprints in areas of Education, Human empowerment, Health, Anti-corruption campaign and Good governance. The value adding activities of Mustapha Akanbi Foundation (MAF) are unquantifiable. MAF is an enduring signature in the art of giving back to the community. President Muhammadu Buhari administration commendably initiated the Conditional Cash Transfer Programme benefiting millions of the most vulnerable and poorest Nigerians paid N5, 000 monthly stipends under the social investment scheme. However unknown to many what the Federal Government just adopted as a state policy is what Justice Mustapha Akanbi as non-state activist through his foundation had been doing in retirement in the past ten years. In the age of elite greed and elitist state capture of national commonwealth, we must posthumously salute Justice Mustaphaâ€™s art of generosity and giving to the aged, the sick and disabled. His Foundation catches the youth positively young via reading and writing skill acquisitions in public secondary schools. The Foundation truly acts local without losing sight of the national and global high profile public agenda setting lectures. The 11th Annual lecture of the Foundation was a tribute to him at 85. I had the honour of delivering the lecture entitled Challenges For Nation Building: Ways Forward, sharing similar platform with great scholars such as Professor Ibrahim Agboola Gambari, who delivered the 2008 lecture on Challenges of Nations Building: The Case of Nigeria, then as Under-Secretary-general and special adviser to the UN Secretary-General and Professor Attahiru Jega. The best tribute to the late icon is to keep the MAF legacy alive. My encounter with the late judicial titan dated back to my activism as a university student and later as an activist journalist. Akanbi is an acknowledged judicial officer with integrity, in the process of adjudication on the bench even under a hostile military regime. Following the brutal murder of four ABU students in 1986 by Mobile special Police on the order of the university authority led by Professor Ango Abdulalhi, students crisis erupted which degenerated and assumed national dimension under the regime of General Ibrahim Babangida. ASUU, NLC and NANS were united in protest against the Abisoye Panel set up by the regime to whitewash the administrative mess of Ango Abdullahi leadership of ABU. Crisis of confidence rocked the Abisoye panel compelling the regime to set up a more credible judicial commission headed by Justice Mustapha Akanbi. His commission restored confidence such that National Association of Nigeriaâ€™s Students, (NANS) and other civil society organizations freely and confidently participated. The perception was that with Justice Mustapha on the bench, there would be justice for all. The Commissionâ€™s problem solving (not persecution methodology) characterized by openness allowed for free expressions. The high point was the courageous sensational testimony of the intelligent police officer, Alozie Ogbubuaja, who freely offered suggestions on students-police relations with a call for the improvement on the conditions of service of the police in general. He made a case for reform of the police and made his historic damning remark on â€œpepper soupâ€ and â€œcoup plottingâ€. Former Honorable Minister of Communication and Information, Labaran Maku, (then NANS PRO) owes his university graduation from Jos to the historic sense of justice of the commissionâ€™s findings, which were reformist not punitive as the military regime desperately desired. Curiously the military junta never made the findings of the Akanbi panel public. To understand Akanbiâ€™s tremendous contributions to jurisprudence, national and continental development we must also come to terms with his profound ideological and historical grounding dating back to the progressive ideas of Kwame Nkrumah of Ghana in the 40s and 50s, Sekou Toure of Guinea and Julius Nyerere of Tanzania. Akanbiâ€™s contribution has shown that spiritual/ideological/political consciousness is indispensable for lawyers to maintain and sustain integrity both at the bar and on the bench. We recall with nostalgia ideologically conscious lawyers like late Aka Bashorun, late Gani Fahemihin. Femi Falana and others are building on that radical legacy. A visit to the Africaâ€™s Peoples Hall, the Head Quarters of MAF in Ilorin says it all; an inventory of the consciously arranged portraits of the great African Leaders and trade unionists from Kwame Nkrumah to Nelson Mandela, Gamel Nazer to Tom Mboya, Patrice Lumuba to Sekou Toure will attest to the ideological preferences of the role model, Akanbi. With uncommon valuable service, he aged gracefully not withstanding the burden of illness. His voice was loud to the end on national issues such as state police and independence of anti-corruption agencies underscoring his intellectual clarity and commitment. Akanbi was a living library of progressive and spiritual ideas for the younger generation. To my primary Labour constituency, Justice Mustapha was a delight with inspirational quotable quotes on integrity, fairness and justice. He proudly identified with the masses and mass organizations often at shortest notice. Many times he was a resource fellow at textile unionâ€™s annual educational programmes singing with us solidarity songs; Union Makes us Strong! With adorned face cap to match! He had been billed for the anniversary award at the 40th anniversary later in August this year. He was indeed a grand comrade in his own right given his down-to-earth simplicity and accessibility. Just last Monday in Ilorin even at bed rest, he was full of warmth and generous spirit with family members and well wishers alike. Akanbi was almost a global citizen by birth; born some 86 years ago; 11th of September 1932 as a third child to the great grand father, Alhaji Muhammed Bello (Akanbi Oniyo) and the great grand mother Nana Aishat, in cosmopolitan Accra, Ghana. His parents were of great warrior Kemberi stock of â€œAfin- areaâ€ of Ilorin. He was born into a rich heritage of industry, long distance enterprise and scholarship dating back to almost 500 years of the great Ilorin community. Comrade Aremu is a Member of the National Institute, Kuru Jos.